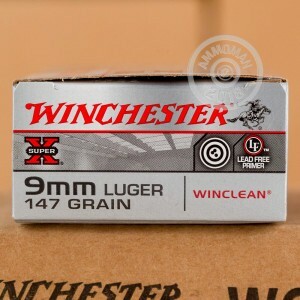 This 9mm 147 Grain ammo is part of Winchester's Winclean line. These rounds feature a brass enclosed base (BEB) bullet that reduces the lead exposure in an enclosed environment. Because of the enclosed base, Winchester's 9mm BEB ammunition is perfect for indoor ranges but will do just fine for any type of range practice. This ammo is brand new, brass-cased, boxer-primed, non-corrosive, and reloadable. 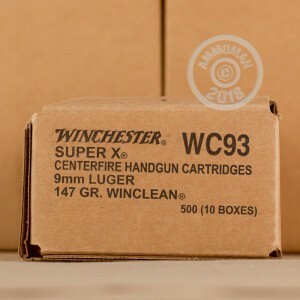 Winchester has been manufacturing quality ammunition since 1873. They are one of the most well-known brands in the industry and supply ammo to shooters of all types as well as the United States Military. 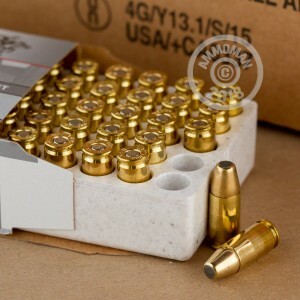 Pick up this case for your next trip to the range and get Free Shipping from AmmoMan.com!